There are actually two books with the title “Outwitting Squirrels” and, surprisingly, with the same title subtext “101 cunning stratagems to reduce dramatically the egregious misappropriation of seed from your birdfeeder by squirrels.” Well almost the same subtext for Anne Wareham’s version reads “… egregious effects of garden pests and honest advice concerning your chances of success”. The US version of the book, by one Bill Adler Junior, has been around since 1998 (with reprints/revisions), is exclusively devoted to the problem of squirrels and is available for 1p (yes that’s one new pence and don’t argue that “pence” is plural) plus P&P. The UK version is a totally different book, covers a range of pests (both animal and human) and costs a lot more because its author needs to fund her purchases of wine and cake somehow. Now just about everyone knows that those copper bands that are supposed to deter slugs and snails don’t actually deter slugs and snails long term. But when you have given up trying to deter slugs and snails with copper bands, you can affix the aforementioned copper bands around your tree trunks and then hang your bird feeders from branches above the copper bands. Squirrels climbing trees from the ground won’t pass the copper bands. Of course, this is only a part solution because although they can’t get up the tree, squirrels will soon learn that they can still get down it. So you need to attach copper bands to the trunk above, as well as below, the branch on which you hang your bird feeder. Until you realise that squirrels can jump. And thus your lovely silver birch gradually becomes a sculpture in copper. Until metal thieves target it and, not realising that it isn’t solid copper, chop it down and carry it away to flog it to some unsuspecting receiver of stolen copper. This, of course, finally solves your squirrel problem for the squirrels can no longer get at your bird feeders. But then neither can you. Anne Wareham doesn’t go to such extremes (unless it is the installation of miles of rabbit fencing around her garden). Her husband, the renowned photographer Charles Hawes, has got more creative: occasionally running outdoors in the early morning in his birthday suit with a gun to shoot an incursive rabbit, or to scare it to death if he can’t shoot it. Despite Charles being a photographer, we have no photos of his naked rabbit hunts as he’s too busy trying to shoot with a gun to shoot with a camera and Anne is usually asleep at the time. I wonder if a certain artist of mutual acquaintance could perhaps produce a painting or fresco. I’ve adopted a more pragmatic approach. I’ve installed squirrel-proof bird feeders. But I also like the squirrels that visit the garden. Some call them tree rats and accuse them of digging up bulbs and wotnot. I’ve never had any issue with squirrels apart from the amount of bird seed they consume when they visit the bird table, having given up on the hanging feeders (which are squirrel-proof). So I installed a squirrel feeder. This is filled with peanuts in shells, hazelnuts (in the autumn) and other squirrel delicacies. Now you’ll have alarm bells going off in your cerebral void because peanuts in shells = a choking hazard for little birds if the peanuts are extracted from the shells. I thought of that! The squirrel feeder is bird-proof. But the squirrels mastered the knack of lifting the lid, extracting something and running back home with it in no time. I don’t know if there are 101 cunning stratagems or 102, or 100 or 99. Bill Adler actually lists his 101 as an appendix to his book; Anne is more cunning; she wants you to actually read the whole book, not just tear out half a dozen pages before selling the rest second-hand as “slightly damaged”. My copy arrived the day before the first second-hand version appeared on Amazon. This was also a day when I needed cheering up a bit. Armed with a mug of coffee, I made myself comfortable and started at the best place to start: towards the end. Actually about three-quarters of the way through. 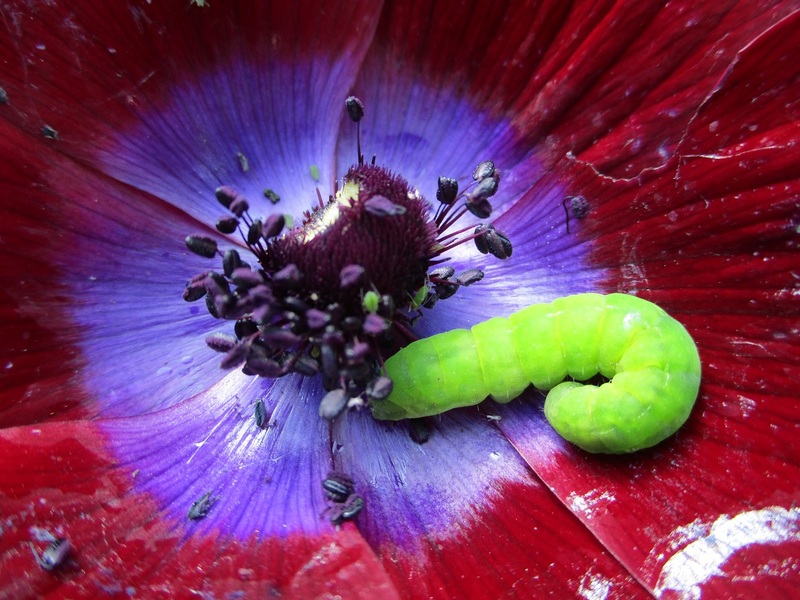 Anne’s definition of “garden pests” is far wider than you might expect and she has thus produced arguably the most comprehensive treatment of pests you could hope to find. There are chapters on legislation, garden machinery, garden experts, noise, people in general and even a section on petrol (which taught me a thing or two). She had me smiling and occasionally laughing out loud. The book was definitely the tonic I needed so, armed with a second mug of coffee, I returned to the beginning and digested the chapters on squirrels, rabbits (no mention of naked hunting), cats, deer, smaller creatures, stingers and biters and so on right down to the little things you can’t see without a magnifying glass. Diseases and the like also get covered. Irascible she may be but Anne has a light, humorous style of writing that gets across what she wants to say whilst entertaining you at the same time. She is also tremendously practical; exploding myths, happily pointing out that the apparent success of a particular response will be very temporary, offering ways to do things at a fraction of the cost of buying commercial products (a year’s saving on the cost of slug nematodes which could accrue from using her nematode recipe will pay for at least four copies of her book so you could give three as presents). Whilst on the one hand occasionally advocating the application of chemicals, she also draws attention to the side effects of those chemicals and advises on the safest ways to use them, something I wish Monty Don would do occasionally. Anne is writing from experience and recounting her successes and failures. There are a couple of omissions, though. Clearly she has never had a problem in her garden with cows trampling all over the front lawn, nor has she had sheep in the back garden. But these are going to be hopefully rare events and you will be more lucky than I. 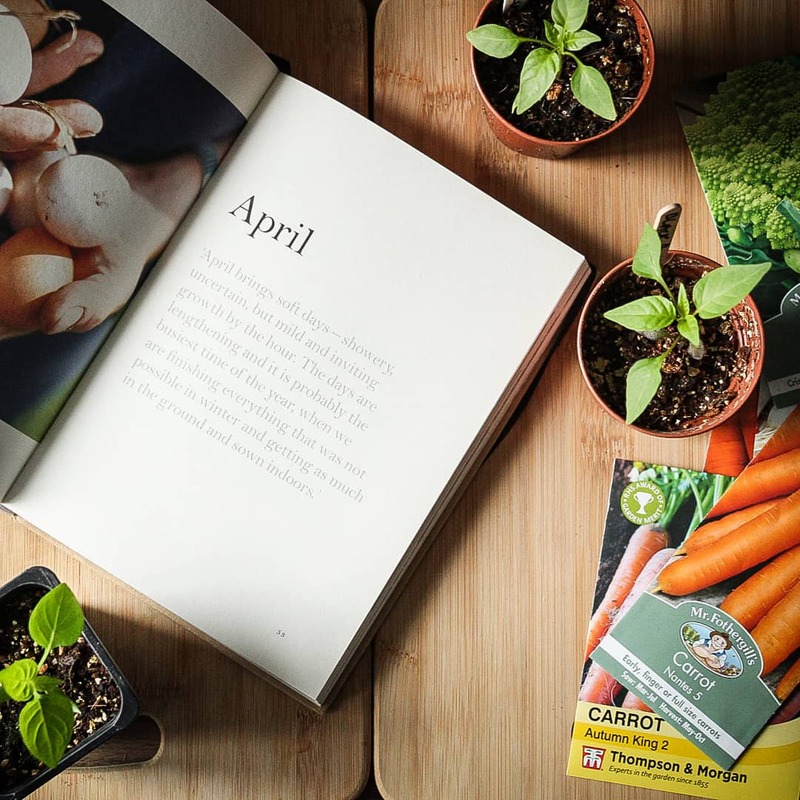 There are a lot of books out there covering pests and diseases in the garden, some do so in depth and some more lightly. But I don’t know of one that does the job in a more entertaining way. No doubt you will find yourself referring to other books (Anne recommends one) but if you want a decent primer to read of an evening, whether with coffee or wine, you won’t go far wrong with this. Outwitting Squirrels is published by Michael O’Mara Books Ltd (ISBN 978-1-78243-370-5) at £7.99 but you’ll find it cheaper at Amazon. There’s also a Kindle edition available.